Much of the tracks-versus-wheels debate on farms has focused on compaction and the ability to drive in wet conditions, but what about differences in fuel consumption? 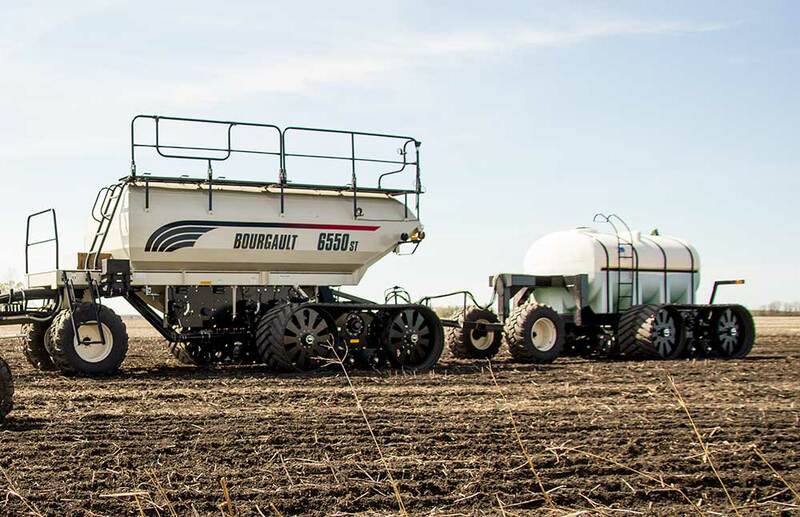 Testing done in the Northern Prairies in 2015 confirmed long-standing research showing tracks require less energy to move in field conditions, dispelling a lingering misconception that implements on tracks require more horsepower to pull than wheeled units. 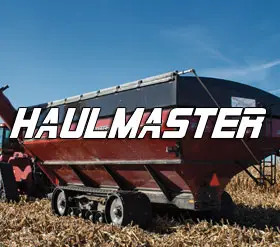 Research conducted near the home of track-maker Elmer’s Manufacturing found fuel savings of 11 to 15 percent when pulling a grain cart on tracks instead of wheels. “We used a grain cart and compared wheels to tracks at the same weights. We tested on fresh tilled ground, tilled and then dried for a few days, untilled canola ground, and concrete for a reference.” explains Mike Friesen, general manager and lead engineer at Elmer’s. While wheels pulled easier than tracks on concrete, there was less resistance pulling tracks in all three field scenarios. That’s because tracks “float” or stay higher on top of the soil, reducing what engineers describe as “rolling resistance.” Since tires generally create deeper ruts, they have a greater rolling resistance than tracks on soft soil, as explained by researchers AJ Koolen and H Kuipers in Agricultural Soil Mechanics back in 1983. “In plain English, the tracks don’t have to continuously try to get out of the rut they are digging like the wheel does,” explains Friesen. Morden explains the biggest difference he’s noticed with switching to tracks is the reduced compaction and rutting, especially in wet conditions. The study also compared energy required to pull Elmer’s large tracks versus Elmer’s smaller TransferTracks, which concluded that, while both tracks pulled easier than wheels, the TransferTracks required less horsepower at weights below 35,000 lbs per wheel making it the ideal candidate for use with an air-seeder cart, small grain cart or a rolling water/fertilizer tank. 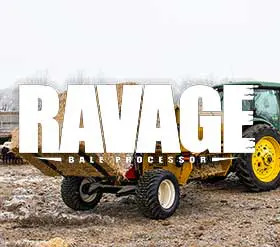 The reduced energy requirement not only results in improved fuel efficiency, but it could also allow a grower to optimize their existing horsepower in other ways, such as driving faster or pulling a wider drill with the same tractor during seeding.